Western countries in the United Nations Security Council have blocked Moscow's draft resolution condemning the attack on the Russian embassy in Kiev, a source in the UN says. “Western delegations in the Security Council have blocked the Russian draft resolution condemning the attack on the embassy of the Russian federation in Kiev,” the source told RIA Novosti news agency. 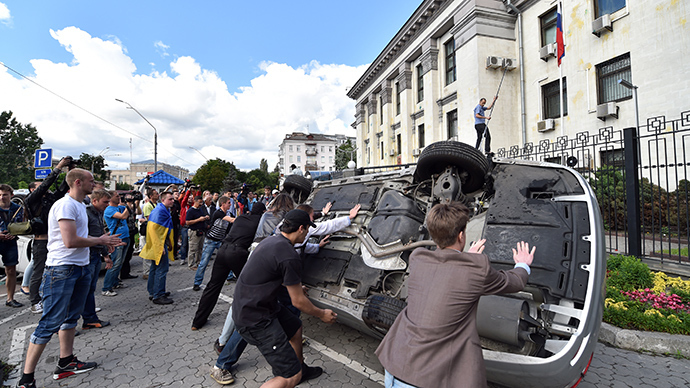 Russia presented the proposal on Saturday after a few hundred people stormed its embassy in the Ukrainian capital, throwing stones and firecrackers and overturning diplomatic cars. A Molotov cocktail was pelted at the premises, causing a minor fire which was extinguished by firefighters. The demonstrators – among them members of the far-right group Right Sector – protested against Russia’s alleged involvement in the crisis in eastern Ukraine. Meanwhile, Didier Burkhalter, head of the Organization for Security and Co-operation in Europe (OSCE), expressed concern over the incident and urged Ukrainian authorities to ensure the safety of all diplomatic missions. Earlier, the Russian Foreign Ministry issued a statement condemning the attack and demanded that Kiev provide security for Russian diplomats. 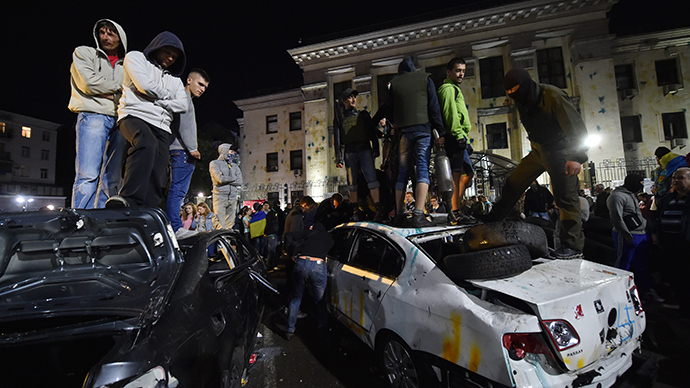 The head of the Russian State Duma's International Affairs Committee, Aleksey Pushkov, believes the attack on the Russian embassy in Kiev was pre-planned. "Otherwise, where did the protesters get the firecrackers? !” he wrote on Twitter. "It was not a spontaneous action, but a thoroughly planned one."